Oh, the cuteness. I realized I haven’t given an update on Henry’s happenings in quite some time. Plus I was having way more fun looking at his sweet face and couldn’t bring myself to edit photos for a DIY post (though I loved how it turned out). He is a confident little dude. 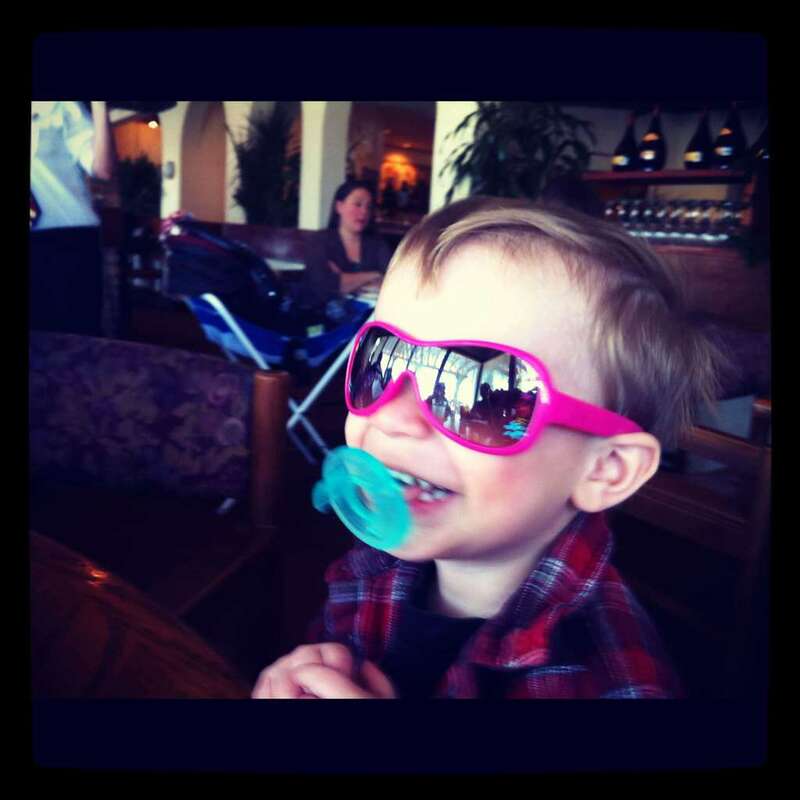 Not just any 2-year-old can rock his sister’s pink sunglasses. Plus, the poor guy has to live with an array of embarrassing nicknames – H-Man. Henny Penny. I know, it has to stop. He’s still so much my sweet baby that I can’t imagine adding another lil’ fellow into the family. Henry doesn’t really get the whole “big brother” concept so I know we’re in for an adjustment. Last week he got to be the only child for a few days while big sister frolicked at DisneyWorld with my parents (she loved it). I realize how much time I spend arbitrating toy disputes and making sure I’m paying attention to both equally. It was fun to cuddle watching Thomas the Train and play with said trains end.less.ly. Then we met some local ducks. Henry was in heaven. I’m pretty sure he squealed with giddiness for 30 minutes straight. Here’s your daily dose of laughing babies (well, a toddler in this case). I promise no sticks (or ducks) were harmed in the making of this clip. Adorable, my son would LOVE him! He is seriously the cutest! He’s going to be a great big brother!